Julian E. Gray, Certified Elder Law Attorney, is founder and managing attorney of Julian Gray Associates located in Pittsburgh. He concentrates his practice in the area of elder law and special needs planning, with related emphasis on Settlement Planning for injured plaintiffs in medical malpractice and other personal injury cases. He is a member of the National Academy of Elder Law Attorneys where he serves as a Director of the Pennsylvania Chapter. 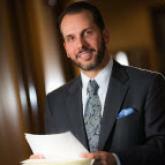 Mr. Gray is recognized as a multi-year Pennsylvania Super Lawyer and in Best Lawyers in America. He is also the Western Pennsylvania representative of the Special Needs Alliance. Julian is a frequent author and lecturer for continuing legal education programs sponsored by the Pennsylvania Bar Institute. Julian Gray also co-authors a monthly column on Elder Law in the Pittsburgh Post Gazette. Mr. Gray received his undergraduate degree from Penn State University and his law degree from Duquesne University School of Law. Julian Gray Associates provides personalized solutions in the areas of elder law, estate and special needs planning. With ten full time practicing elder law attorneys and a team of professional staff members, we handle a large variety elder law matters throughout western Pennsylvania. We have the knowledge and resources needed to handle all types of Medicaid planning and disability planning issues, as well as estate law matters ranging from simple to complex. Whenever possible, we favor integrated solutions that draw upon multiple sources of funding, such as Medicaid, Veterans' benefits, long-term care insurance and personal estate planning provisions. Whatever your situation, Julian Gray Associates will carefully analyze your needs and work to achieve your goals in a way that is right for you.